Did you see Rick Ross' baby mama's sextape [Video]? 50 Cent just took his beef with Rick Ross to a whole other level as he just published online a sextape featuring Brooke who’s none other than 1 of Rick Ross Baby Mama. The video has been published trough a dedicated website called BooBooTV and features Fifty as Pimpin Curly narrating and commenting the scenes. Pictures from DJ Clue's B-Day Party! DJ KHALED "FED UP" VIDEO ft. Usher, Young Jeezy, Rick Ross & Drake! 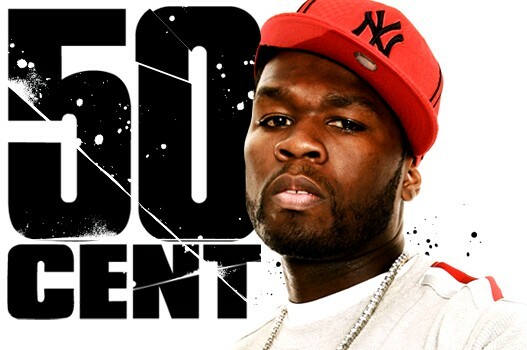 50 CENT SAYS HE WILL HIRE SHOOTERS TO KILL RICK ROSS! As Curtis “50 Cent” Jackson lets the gas tank leak and adds fuel to the fire with Beanie Sigel and Jay-Z, the rapper also has to fight his own battles as his issues with Rick Ross and Triple Cs are far from being a memory. Recently, Rick Ross spoke on the sales of 50 Cent’s latest offering, Before I Self Destruct, which sold close to 160,000 copies in its first week. After viewing what appear to be disappointing numbers for an artist with such a caliber as 50, Ross proclaimed that he was able to bury the G-Unit general. Never willing to let any punch slip through, Jackson revealed news through an interview with DJ Whoo Kid about how Ross tried to take a play from his book when he contacted Tia and tried to find a means to get at 50’s baby’s mother. The rapper continued to flex his muscle by stating that the rap game doesn’t take away from his past and the fact that he could quickly slip back into the mentality that raised him when he was without a deal and did not have the fame and fortune that he rests on now. He also added that with all of the heat coming his way, he finds it interesting how everyone is fully aware of where he rests his head at, but nobody bothers to come knock at the door and come in. Referring to himself as a Hip Hop president, Jackson stated that there are consequences for all actions and that every shot fired will be fired back. 50 CENT @ MAYWEATHER’S CRIB W/ RICK ROSS’ BABY MOMS & KIDS! 50 CENT @ MAYWEATHER'S CRIB W/ RICK ROSS' BABY MOMS & KIDS!